Your Populi Home page tells you what's going on right now and what's about to happen. It includes Alerts, The Feed, Invitations, Events, To-Dos, and Courses. Alerts let you know about stuff you need to take care of (or stuff that's about to happen). The kinds of alerts you get depend on your user roles. For example, students will get alerts about online tests or course registration; financial aid staff will get alerts about aid applications that require their attention. And so on. To take action on the matter, simply click the alert text and Populi will take you to the appropriate place. 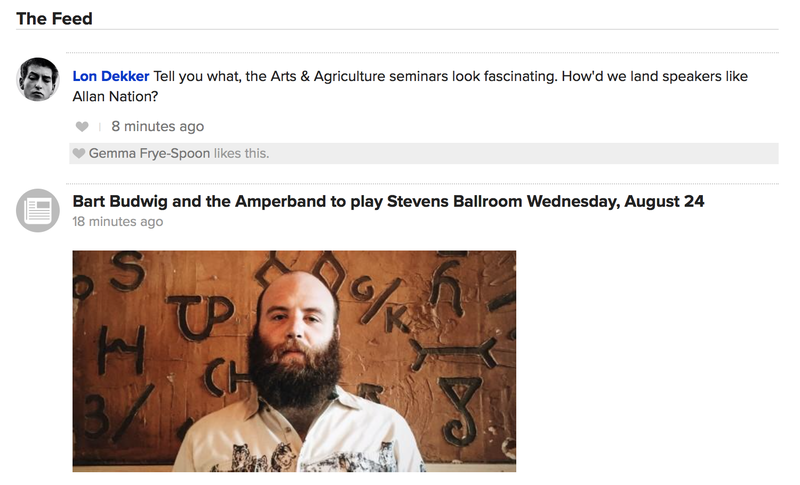 The feed shows you college news and updates from people you follow on your Bulletin Board. Staff members can post and manage News items. Anyone who can see a news article can comment on them. All such comments are public, so for your sake and others, don't be a jerk! Invitations and events show you upcoming calendar events. Invitations shows you events to which others have invited you that you have not yet accepted or declined (if there are no such events, you won't see this panel). In the dialog, click Decline or Accept; click More to see the rest of the event's details. Once you accept or decline, the event disappears from your invitations. Events displays the next five events listed on your Calendar(s). All-day events take precedence over time-period events. That is, if it has the choice to display an all-day event or an event running from 2:30 to 3:30 PM, will show you the all-day event. If you don't have anything listed for the next seven days, nothing displays. To-Dos are tasks that you can assign to yourself or others at your school. The To-Dos panel shows you all overdue To-Dos, or the five most pressing To-Dos in the following order: Overdue, Today, Tomorrow, and Later. If you have more To-Dos on your list, you'll see a # more >> link that takes you to the main To-Dos view. The To-Dos view on Home shows you all active, complete, and assigned To-Dos. You can create new to-dos in either the Dashboard or the To-dos view. Enter the task in the text field; there's a 500-character limit. Who is the To-Do Assigned to? If you select Me, it will be added to your list. You can also select Someone else; start typing a name and select from the results. Enter a due date for the task. 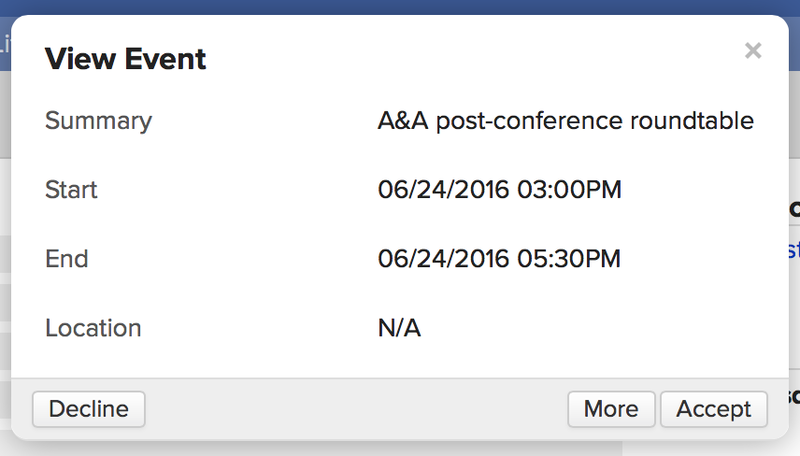 After creating a to-do, you can change it by hovering over it and clicking Edit; you can also click to delete it. You can also create To-Dos on someone else's profile; those To-Dos reference that person and show up in their Profile Activity Feed. You can also create To-Do Templates in Communications. To-do templates are common to-dos that can be incorporated into Communication Plans. Students and faculty can see the Courses panel. The course abbreviations bring you to that course's page; the navigation arrows let you scroll back and forth between academic terms. Where can I find my grades?